“If its central characteristics remained immune to change, the ghost story did keep pace with the times through progressive modernization of settings and language.” – Cox (xix, 1991). “He is still the undisputed master of the phrase or sentence that shows just enough to suggest far worse. Often these moments are embedded within paragraphs, the better to take the reader unawares; the structure of the prose and its appearance on the page contribute to the power of his work. Many of his most effective moments are inseparable from his style. Because of this, they often resist being filmed.” (p.1, 2012). The entirety of this essay strongly disagrees with his argument though he perhaps is basing it a little too heavily on the fact that only one cinematic adaptation has occurred of James’ work. The very fluidity within the corporeal nature of the supernatural being perhaps suggests its relationship with sound to be obvious but, with the in-depth analysis of several thematic functions within its use, the BBC Ghost Stories suggest that the genre creature is almost reliant on sound when presented in visual media, both in conveyance of its presence to the viewer and to the characters within the narratives. From nondiegetic music to diegetic soundscapes, “Disembodied Voices” to haunted objects, the BBC Ghost Stories used every possible aural technique to not only make their representation of hauntings more frightening but also more meaningful. Rather than simply shock the viewer with a meaningless sudden noise (as is the cliché for many a horror film since Jacques Tourneur’s Cat People (1942)), the sounds of these films create a dialogue within the narrative; questioning the form and content of the original stories and adding new psychological and literary depths to a form often treated as a typical pulp fiction. Farquhar suggests their success in scaring is because of their brief moments of terror: “The films revel in their period settings, be they cloistered academia or stark seaside guest houses; in the playful language of intellectual men and blurry English landscapes. But most of all they work because their moments of fright are not only genuinely fearsome but, most importantly, brief.” (p.17, 2012). The analyses have shown that the aural worlds of these films are often built up gradually with a slow rising dread rather than being simply a collection of brief scares. This emphasis on sound has been tied to the literary sources of the adaptations in question but can the analysis cover a more broad range of ghost genre tropes? The original reception methods of the stories and their stylistic and thematic content have both been shown to link and influence the aural landscape of their adaptations, but do they represent a genre norm for the ghost narrative or even the horror genre as a whole? While arguments can definitely be made for the former, it does seem a little too general for the latter. “Abbot Thomas was the director’s fifth film for A Ghost Story for Christmas, and here both he and Bowen use horror film techniques that would become ubiquitous in the genre by the end of the 1970s.” (p.8, 2012). The ITV adaptation of Susan Hill’s The Woman in Black (1989) and its subsequent remake by Hammer Studios in 2012, both use a variety of the techniques showcased within the BBC Ghost Stories to achieve their level of fright and horror. From the sparse rural sounds of Miller’s Whistle and I’ll Come To You, combined with the musical objects of Clark’s Lost Hearts and numerous others, this comparison can only briefly touch upon a stark number of aural likenesses in just one of a number of examples. However, what of the media that attempted to achieve these ideals before the BBC Ghost Stories? One aspect that this essay has steered clear of is whether the series of films were responsible for the general association between the aural and the haunted in audio-visual media. While tied to the literary sources, they take advantage of this relationship in a number of unique and innovative ways but they were most definitely not the first to draw out the sounds of the haunted. Robert Wise’s The Haunting (1963), Lewis Allen’s The Uninvited (1944), and – even the only feature length M.R. James adaptation – Jacques Tourneur’s Night of the Demon (1957), all used sound in various parallel ways to enhance their sense of horror. “And yet the tales that seemed to resonate most during the 1970s were not the garish and ever-more desperate modern-day nightmares emanating from film companies such as Hammer and Amicus, but the slow and deliberate television adaptations of stories conceived over 70 years earlier by an eminent antiquarian for the amusement of his students – the Christmas Eve hot ticket in Edwardian Cambridge.” (p.7, 2012). There could even be the issue of the very medium that these stories were transmitted through. The reception of these films as a television program viewed in the home as opposed to the feature film viewed in the darkened walls of a cinema has also failed to be addressed. However, the ability to trace these aural ideals back through to the literature and even to the rare Hollywood ghost story, suggests that the medium here was not such a great factor in affecting this overall aesthetic outcome; the films of Miller and Clark would no doubt be equally as frightening and effective at representing a haunting if screened in a cinema, perhaps even more so. Even in the 1970s when the ghost story at Christmas was becoming a new televisual tradition, ghosts were being defined by their sound rather than their visuals. 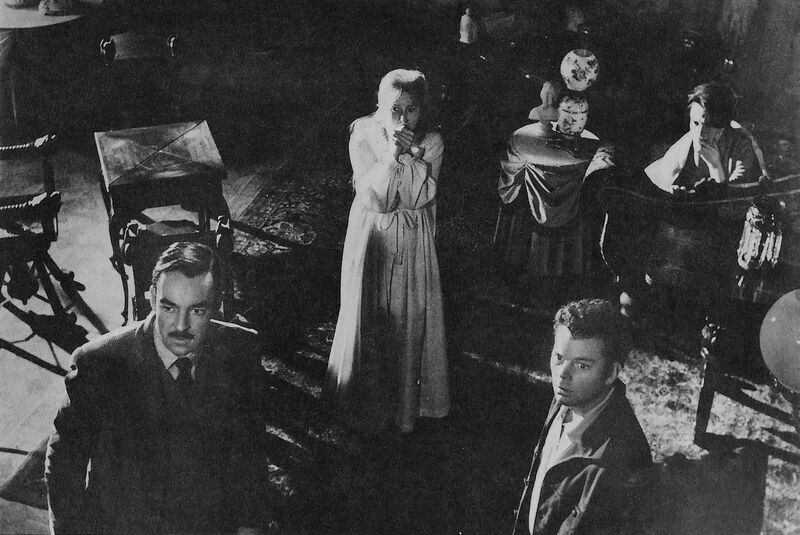 In between Clark’s The Stalls of Barchester and A Warning To the Curious, Peter Sasdy directed The Stone Tape (1972); a film about a group of sound technology engineers trying to understand and reproduce the function of a haunted room which can capture and hold sound within its walls, in order to commercialise it for the music market. Along with other more rural horrors aurally haunted by the past such as Penda’s Fen (1974), The Children of the Stones (1977), and Red Shift (1978), as well as the continuing influence of Doctor Who and the Radiophonic Workshop, the 1960s and 1970s are clearly an era that defined haunting as an aural experience and this is never better exemplified than in the BBC Ghost Stories of Jonathan Miller and Lawrence Gordon Clark; their films showcasing deeply layered, aural representations of the terrifying and the haunting. Campbell, R., 2012. Lost Hearts from Ghost Stories: Classic adaptations by the BBC (volume 3). BFI Publishing, London. Campbell, R., 2012. Introduction from Ghost Stories: Classic Adaptations from the BBC (volume 1) [DVD]. British Film Institute, London. Chion, M., 1983. The Voice in Cinema. Columbia University Press, New York. Chion, M., 1994. Audio-Visual: Sound on Screen. Columbia University Press, New York. Clark, L, G., 2013. The Christmas Ghost Stories of Lawrence Gordon Clark. Spectral Press, Milton Keynes. Clark, L,G., 2012. Introduction from Ghost Stories: Classic Adaptations from the BBC (volumes 1-4) [DVD]. British Film Institute, London. Cox, M., 1983. M.R. James: An Informal Portrait. Oxford University Press, New York. Cox, M, and Gilbert, R.A., 1991. The Oxford Book of Victorian Ghost Stories. Oxford University Press, Oxford. Davidson, A., 2012. The Treasure of Abbot Thomas from Ghost Stories: Classic adaptations by the BBC (volume 3). BFI Publishing, London. Dickens, C., 2009/1866. The Signalman from Complete Ghost Stories. Wordsworth Classics, Hertfordshire. Donnelly, K, J., 2005. The Spectre of Sound: Music in Film and Television. BFI Publishing, London. Easterbrook, A., 2012. A Warning to the Curious from Ghost Stories: Classic adaptations from the BBC (volume 2). BFI Publishing, London. Earnshaw, T., 2012. Up-close: BBC Ghost Stories from Sight & Sound September 2012, Volume 22 Issue 9. BFI Publishing, London. Earnshaw, T., 2013. Introduction for The Christmas Ghost Stories of Lawrence Gordon Clark. Spectral Press, Milton Keynes. Farquhar, S., 2012. Lawrence Gordon Clark from Ghost Stories: Classic adaptations from the BBC (volume 2). BFI Publishing, London. Fiddy, D., 2012. The Ash Tree from Ghost Stories: Classic adaptations by the BBC (volume 3). BFI Publishing, London. Fisher, M., 2012. 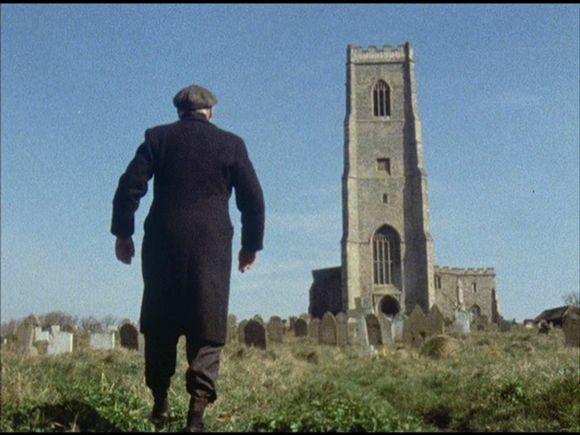 Old Haunts: the landscapes of MR James from Ghost Stories: Classic Adaptations from the BBC (Volume 1). BFI Publishing, London. Gorbman, C., 1987. Unheard Melodies: Narrative Film Music. BFI Publishing, London. James, M, R., 1961/1931. The Collected Ghost Stories of M.R. James. Edward Arnold (Publishers) LTD, London. Kozloff, S., 1988. Invisible Storytellers: Voice-Over Narration in American Film. University of California Press, Los Angeles. Link, S., 2010. The Monster and the Music Box from Music in the Horror Film: Listening to Fear. Routledge, New York. Negarestani, R., 2008. Cyclonopedia: Complicity with Anonymous Materials. Re-Press, Victoria. Newman, K., 2011. Nightmare Movies: Horror On Screen Since The 1960s. Bloomsbury Publishing Plc, London. Oliver, R., 2012. MR James’ Oh, Whistle, and I’ll Come To You, My Lad from Ghost Stories: Classic Adaptations from the BBC (Volume 1). BFI Publishing, London. Oliver, R., 2012. MR James from Ghost Stories: Classic adaptations from the BBC (volume 2). BFI Publishing, London. Parry, R, L., 2012. MR James’ ‘The Stalls of Barchester Cathedral’ and ‘A Warning to the Curios’ from Ghost Stories: Classic adaptations from the BBC (volume 2). BFI Publishing, London. Parry, R, L., 2012. MR James’ ‘Lost Hearts’, ‘The Ash Tree’ and ‘The Treasure of Abbot Thomas’ from Ghost Stories: Classic adaptations by the BBC (volume 3). BFI Publishing, London. Picker, J, M., 2003. Victorian Soundscapes. Oxford University Press, New York. Rigby, J., 2012. Traces of Uneasiness: Lawrence Gordon and The Stalls of Barchester from Ghost Stories: Classic adaptations from the BBC (volume 2). BFI Publishing, London. Rigby, J., 2012. Ghost Stories For Christmas with Christopher Lee – ‘The Stalls of Barchester’ by MR James from Ghost Stories: Classic adaptations from the BBC. BFI Publishing, London. Ryle, G., 1949. The Concept of Mind. The University of Chicago Press, Chicago. Sweet, M., 2012. The Signalman from Ghost Stories: Classic adaptations from the BBC (volume 4). BFI Publishing, London. Objectification As Desire In The 1960s British Youth Film.